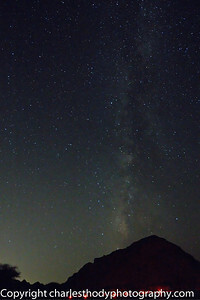 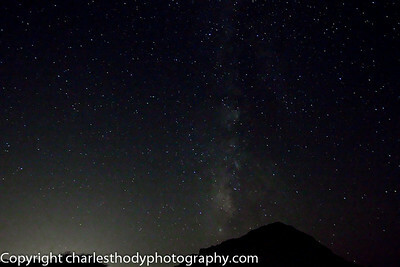 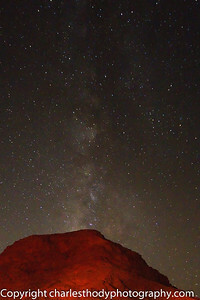 The southern part of the Milky Way over one of the mountains. 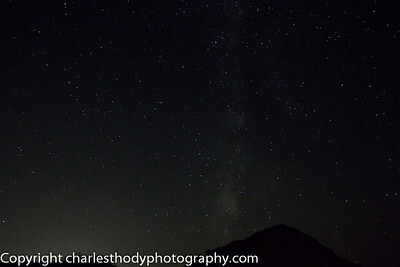 You would think it would be perfectly clear in the desert sky, but the amount of sand dust in the atmosphere made taking photos far more difficult than I imagined! 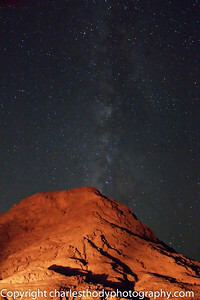 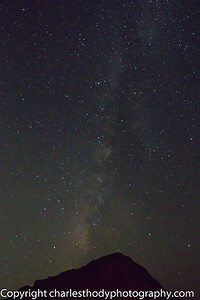 Light pollution from distant Sharm El Sheikh, mixed with am tremendous amount of dust in the atmosphere, is evident in this photo. 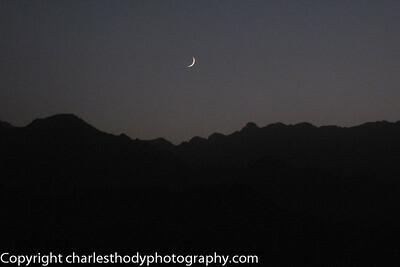 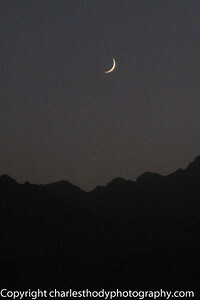 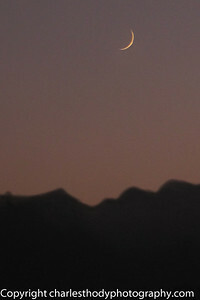 We were lucky to see the new moon setting with the sunset across the Sinai Mountains. 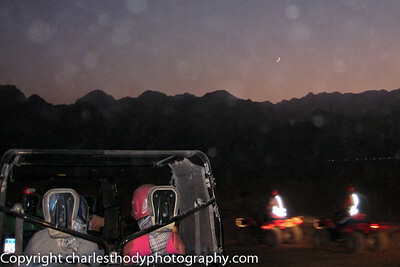 Considering the amount of sand dust in the air (as seen in this photo from our sand buggy) I am very pleased with the photos I managed to get through the dust!